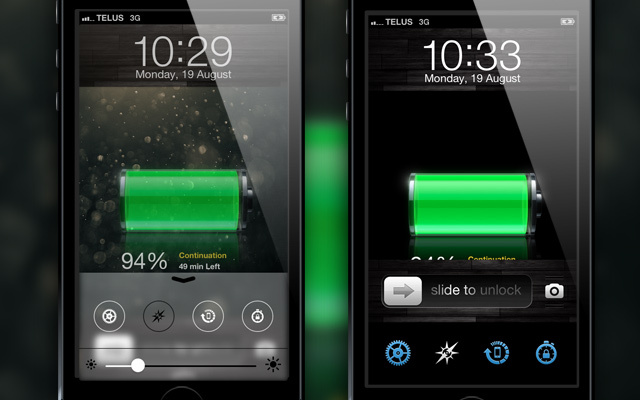 LockBar Pro is a Cydia tweak that was released today which brings iOS 7 inspired toggles to the lockscreen. These toggles appear in an almost Control Center like window that looks great and allows you to get a taste of iOS 7 on your Jailbroken device running iOS 6 or below. There isn’t all of the functionality of the full version of Control Center though, rather simply a brightness slider and system toggles. It is still good looking nonetheless. There is also another unique theme for LockBar Pro that brings up the toggles underneath the Slide To Unlock bar with good looking blue toggles. Style: Change the theme of the tweak from iOS 7 Style, LockBar Settings or disabled (which will obviously disable the tweak completely). Activation Gestures: Choose between Swipes and Double Tap for the activation gesture for the tweak. Toggles: You can play around with the location of the toggles and also remove some of the toggles if you don’t use them. Visual Settings: You can set the number of toggles per row, change the background image to system color or a custom color and toggle scroll indicator. 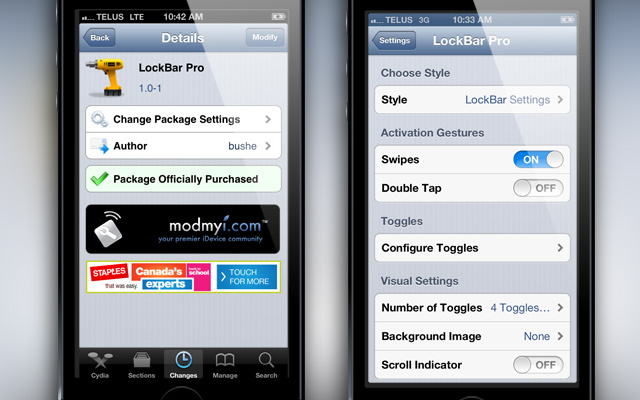 If you are interested in LockBar Pro you can find it in the BigBoss repo for $1.99. Let us know what you think of the tweak in the comments section below.